From Steve Bodio, a photo essay on hunting foxes with the Kazakh Tazy (or Tazi or тазы), the local version of the saluki or Persian greyhound, a hunting dog which pursues its quarry by sight. The tazy is regarded as a Kazakh national symbol. This essay tells us that there was an old Kazakh saying that one tazy could feed an entire village. Tazy are described as capable of running down prey at speeds up to 80 kph (49.7 mph). According to the Russian text, there are only 300 thoroughbred Kazakh tazy left: “300 Spartans.” I’m afraid that I don’t buy into that “only 300 left” stuff. Steve Bodio and I both own Kazakh tazy. Our Uhlan looks a lot like those “thoroughbred Spartan Kazakh” dogs to me. One Feedback on "Kazakh Tazys"
I am not sure whom I am sending this email to…anyway, I got in touch with a Barzoi breeder in Finland (previously from Russia) and she told me about the Tazi. 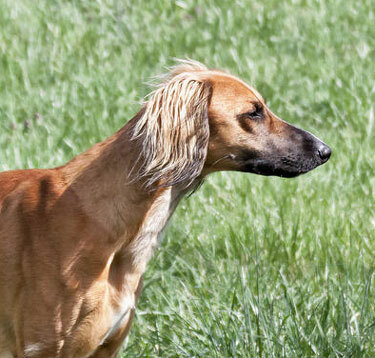 I have a saluki boy, 6 months old now. I love sighthounds! However I am finding out that my boy is BIG, probably bigger than the standards required. 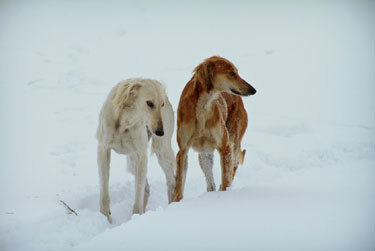 Anyway, the Tazi is shorter and yet looks a lot like the saluki. Could eventually be interested in getting one. Do you know any breeder?